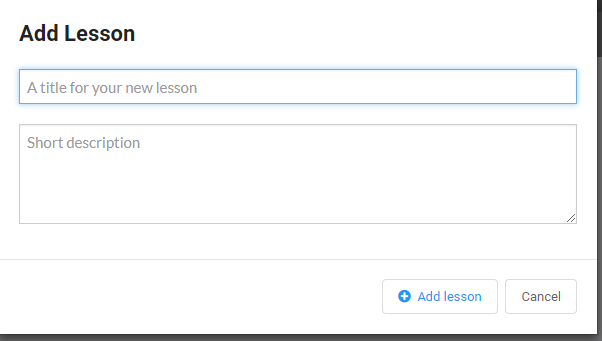 Add, reorder, delete, edit the title of lessons in your class. When you created your class, you selected whether you wanted lessons and, if so, the number of lessons to be included in the class. However, you can always add, reorder, rename, or delete your lessons. 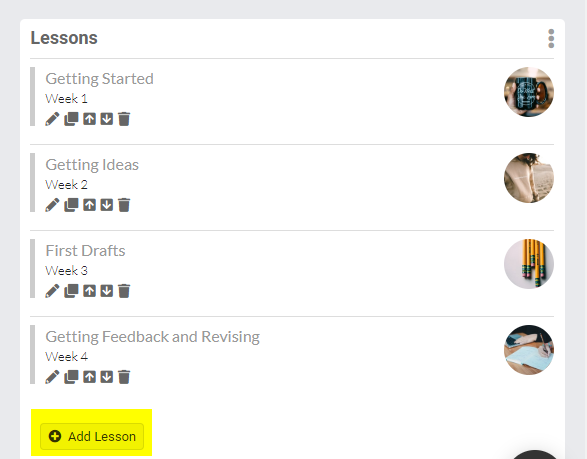 To reorder, your lessons, use the up and down arrows located under the lesson title. To delete your lesson, you'll click the "trash" icon. You'll be prompted to confirm that you want to delete this lesson. 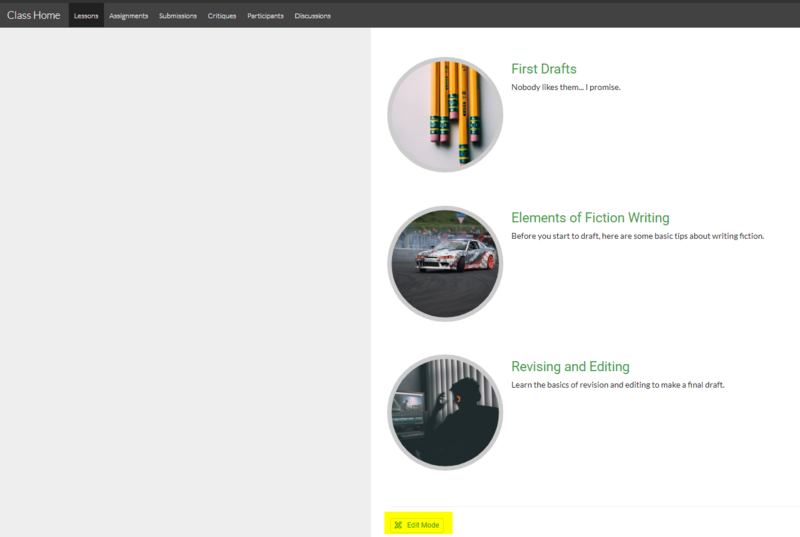 Here is also where you'll edit your lessons' titles. To do so, click the pencil icon to edit the title. You'll edit the title, then click the check mark to confirm the change.